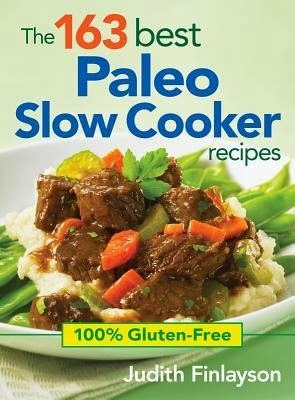 Last month I read and reviewed The 163 Best Paleo Slow Cooker Recipes by Judith Finlayson. Gord likes to cook and found Ranch House Chicken Fried Steak in it and made it for supper this evening. I've basically copied and pasted the recipe and procedures from his blog. In a skillet, heat the olive oil over a medium high heat. Add the steak, in pieces if need be, and brown on both sides, then place in crockpot. Reduce heat to medium. Add onions and celery to skillet and cooked 'til softened, about 5 minutes. Add garlic, pepper and sea salt and cook while stirring another minute. Add stock and bring to a boil ensuring all the good brown bits are scrapped up from the bottom of the pan. Pour into the crockpot and cook on low for 8 hours. After 8 hours, combine 2 tbsp of the sour cream with the paprika and cayenne and mix. Add to the crockpot along with the rest of the sour cream. Add the jalapeno pepper here too. Cover and cook on high for 15 minutes. The cookbook said to serve with mashed potatoes. As much as I love mashed potatoes, we thought egg noodles would be a better match. It was delicious! I used a spoon so I could get sauce (which had a bit of a kick) when I scooped up the pasta. Tomorrow night we are having the leftovers with rice. I'd let Gord make this again :) We think it would well with chicken too.